Werneth Primary Care Centre is the latest new health facility developed by Community 1st Oldham in partnership with NHS Oldham. The centre opened in December 2011 and provides services to around 20,000 patients. 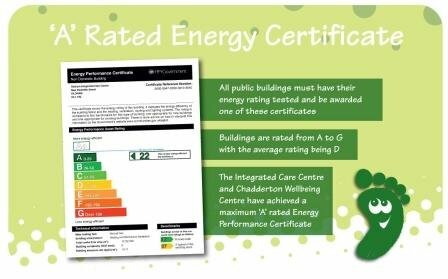 Community 1st Oldham is committed to using green energy solutions for their buildings in order to minimise impact on the environment and to reduce the carbon footprint of buildings. 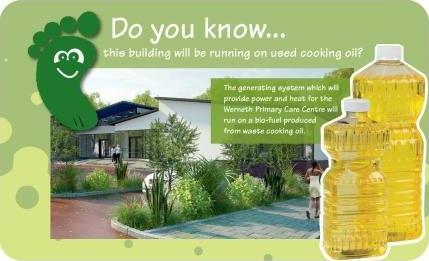 Werneth Primary Care Centre has been fitted with an innovative combined heat and power (CHP) generating system, which runs on sustainable bio-fuel. 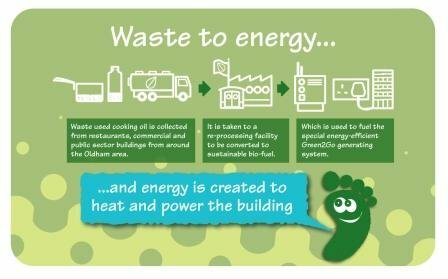 For the first time a Community 1st building in Oldham has a second renewable technology installed – air-source heat pumps, which provide heat energy for the underfloor heating system. In order to ensure further reductions in carbon, energy and cost through the whole life cycle of the building, all materials for the centre were selected to minimise the environmental impact. All timber used in the centre is from verified legal sources. All building envelope materials (walls, roof, flooring) achieve thermal insulation values (U-values) that are a minimum of 25% better than those required by Building Regulations. 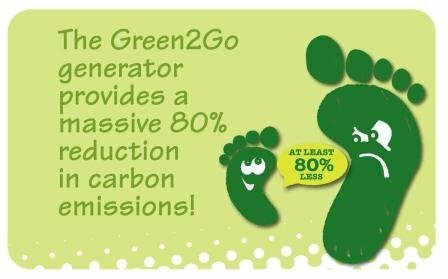 The generating system for Werneth Primary Care Centre is supplied by Green2Go, a sustainable energy and carbon management consultancy based locally. The system is powered by a 100% sustainable bio-fuel manufactured from waste used cooking oil which could otherwise have ended up blocking drains or as expensive land fill. 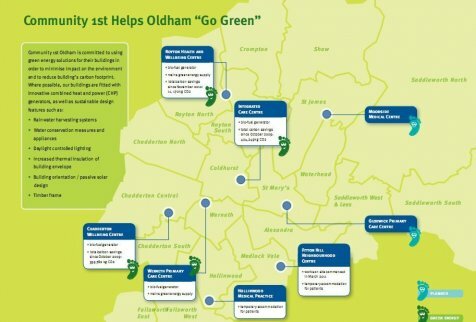 Community 1st Oldham follows the leadership and guidance of our sustainability consultant bluesky who help us and our partners to integrate key sustainability objectives in our new developments.